One of the hottest watches in the mid-2000s, the BR 01 has now entered maturity, and so has to go further to stand out. 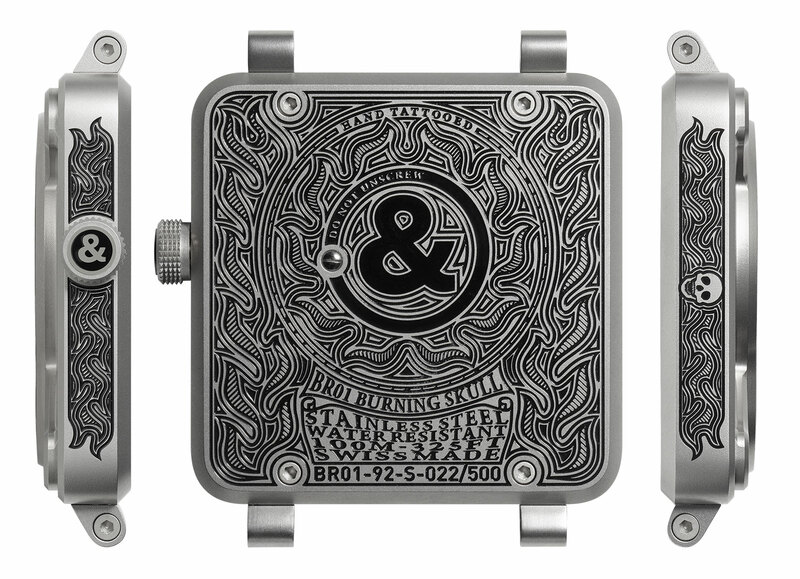 While keeping the aviation instrument-inspired watch case, the BR 01 Burning Skull is elaborately decorated with inked engravings. Covering all faces of the square case, the Burning Skull radically different look from the clean and geometric original BR01-92. Inspired by tattoo art, the case of the Burning Skull is stainless steel and laser engraved with an intricate flame motif. 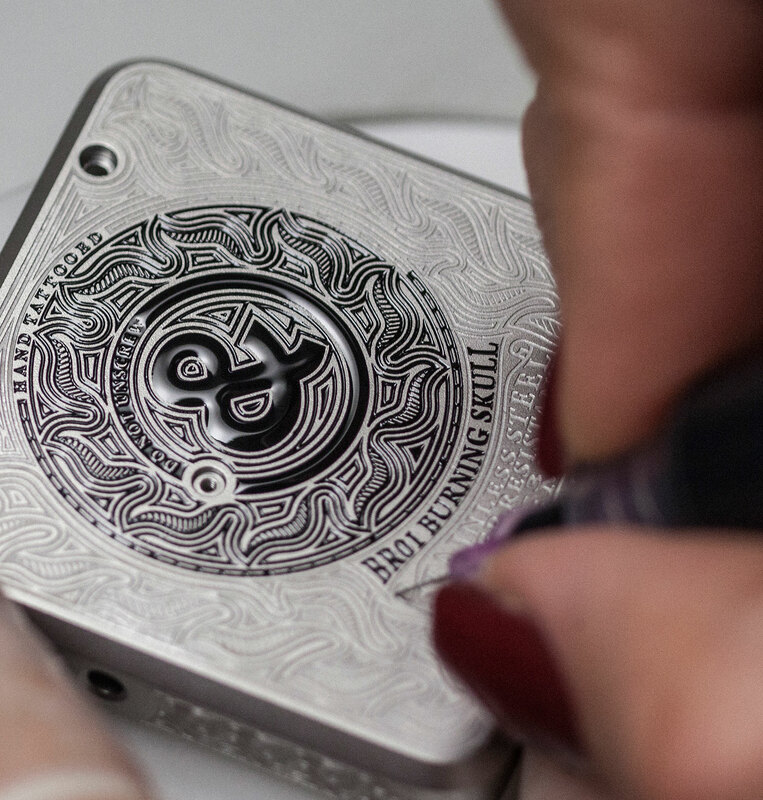 The lines are then filled with ink via a stylus, and the case is fired in an oven to set the ink. 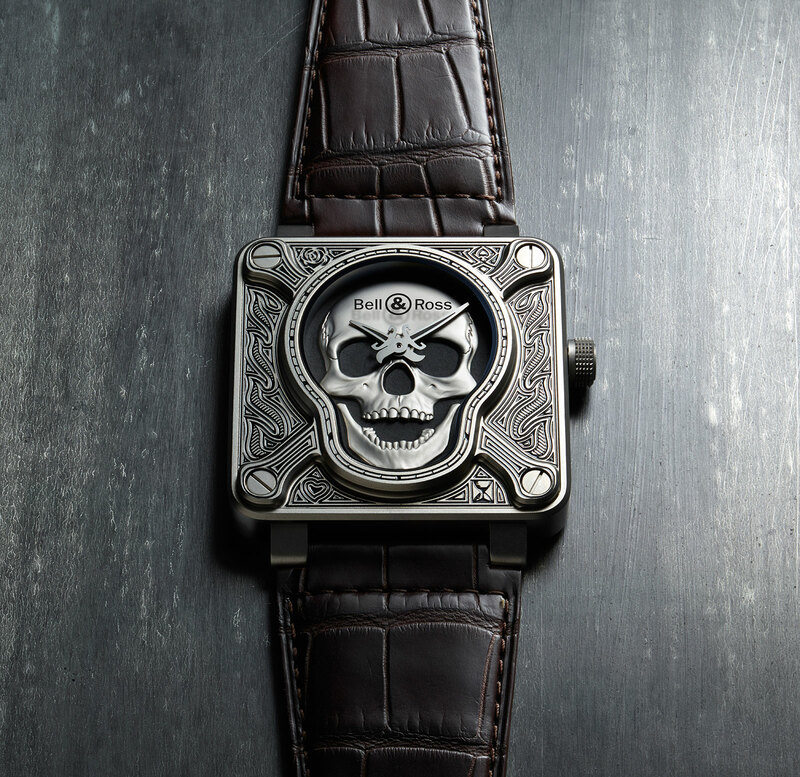 The dial features a stamped skull in relief that rises out from the matte black Super-Luminova surface, while the hands are shaped like a dagger and sword. This is a nod to the skull and crossbones insignia of the 82nd Airborne Division of the U.S. Army, which boasts the motto “Death From Above”. The stainless steel case is 46mm in diameter, and equipped with the BR-CAL.302, a rebadged ETA 2892 automatic. Limited to 500 pieces, the Burning Skull is available starting October 2016, and priced at US$7700 or S$11,300. 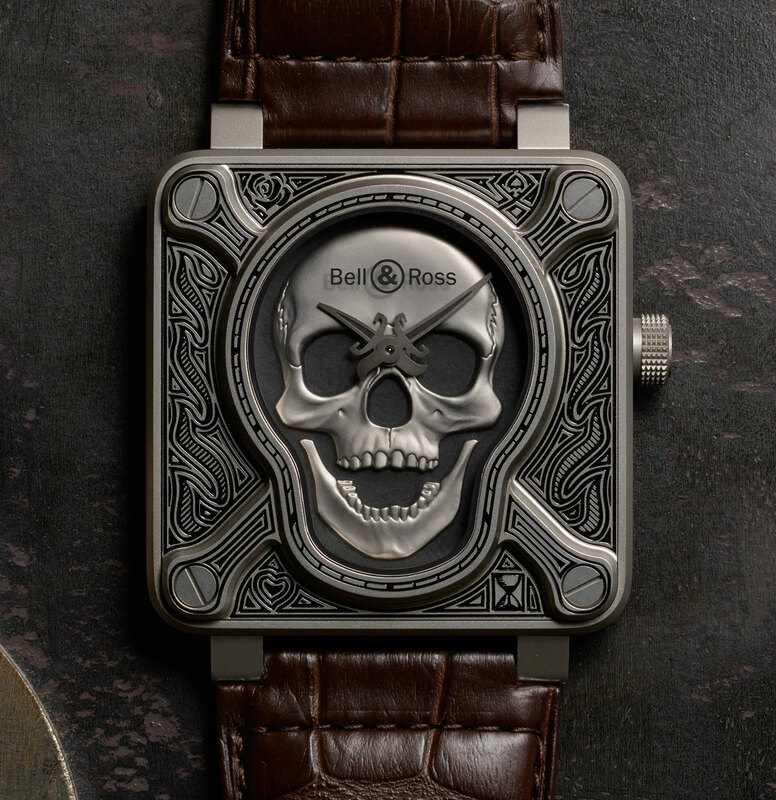 Bell & Ross debuts a dressed up pilot's watch with the BR Aernonavale.